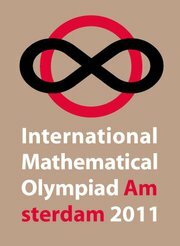 The results are in from the 2011 IMO in Amsterdam. Lisa Sauermann, of Germany, returned for a 5th time to win her 5th medal and 4th gold with a perfect score! Terence Tao used question number 2 from the 2011 IMO to test the group problem solving on the Polymath blog.